The Community Foundation is a not-for-profit corporation that raises money to help fund a variety of local organizations chosen by its volunteer Board of Trustees for the charitable work they do to benefit local residents in need. We are a grass roots organization formed in 1965 by a group of concerned local residents and have helped fund a variety of such programs in the Oyster Bay community for more than 50 years. The Community Foundation was started to facilitate the first Head Start Program in Oyster Bay, and expanded to fund a broad array of services for children and families, services for the Hispanic community, services for Seniors, and efforts to revitalize the hamlet of Oyster Bay. The Board continually evaluates the needs of our community in an effort to channel funds to programs and services that improve the lives of our neighbors in need. The Community Foundation is in the community, working for the community. For a history of the Community Foundation, click here. Those who support the Community Foundation know how fortunate we are to live in such a beautiful waterfront setting. They also know what’s involved in nurturing our community: appreciation and understanding of our many resources, commitment from those willing to volunteer their time, and the generosity of those of us fortunate enough to be able to support organizations that focus on the welfare of neighbors who are less fortunate. Each year, the Community Foundation sponsors an Annual Fund drive, seeking donations which we pass along to the local organizations we help to fund (described here). While these organizations have had to contend with severe funding cutbacks, more people than ever have been turning to them for help. The Community Foundation exists solely to help these organizations fill their gaps in funding. 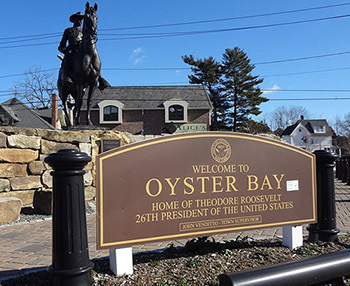 The stated Mission of the Community Foundation of Oyster Bay is to raise money for distribution to charitable, philanthropic and benevolent organizations that promote the welfare of residents in need living principally in Oyster Bay. We hope you will join us in supporting this important work.